All records at the Sedona School of Massage are confidential and are accessible only to students, administrative staff and teachers. Students have access to their files during office hours. The school will not release any information in regard to a student without written permission from that student. Staff members are available to counsel, assist and advise students. There is no charge for this service. The Sedona School of Massage does not guarantee job placement as a result of completion of the program. However, we do keep a job opportunity bulletin board that is continually updated and available to students. The Sedona School of Massage has a small library that is available to students for reference. It consists of books on anatomy and physiology, kinesiology, hydrotherapy, a variety of massage modalities and personal growth. 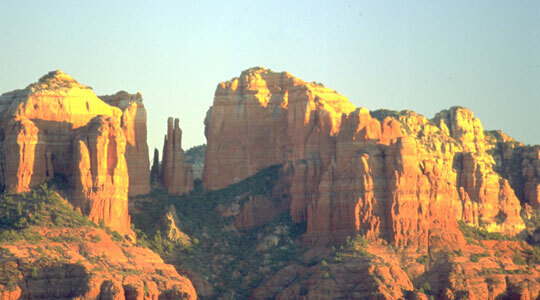 The Sedona School of Massage is Licensed by the Arizona State Board of Private Postsecondary Education. Upon completion of the program, students are prepared and eligible to sit for the National Certification Exam. Over 26 states that require licensing use this test as their state licensing exam. In Arizona, massage is governed by the State of Arizona Board of Massage Therapy. Students are encouraged to find out the requirements necessary for the state they wish to practice in. Please contact the school with any questions. The instructors and staff at the Sedona School of Massage are open to feedback. We provide feedback forms for all instructors and all classes. If a student is having a problem with a faculty member they are encouraged to deal directly with that person. If they are not able to resolve the issue they are encouraged to advise the administrative staff. At that time a documented meeting will be facilitated with the Director, student and faculty member, within one week of the student notifying the administrative staff. If more meetings are necessary they will be documented in the students file and held within one week of the prior meetings. If the student complaint cannot be resolved after exhausting the Institution’s grievance procedure, the student may file a complaint with the Arizona State Board for Private Postsecondary Education. The student must contact the State Board for further details and the student has three years in which to file a complaint. The State Board address is: 1740 W. Adams, 3rd Floor, Phoenix, AZ 85007 telephone: (602) 542-5709, website: http://azppse.state.az.us.